STXtv will take on the dual role of studio and producer for the new animated kids series, which will be based on the animated feature Uglydolls already in the works at STXfilms for a 2019 theatrical release. "Uglydolls is an ideal brand fit for STX, which was conceived for franchise building across all platforms from film to television, digital, virtual reality, consumer products, and more. Our seamless infrastructure allows us to strategize across all divisions, and as a next-generation studio we are thrilled to partner with a next-generation premium streaming service of Hulu's caliber to service the entire universe of the Uglydolls franchise," said Jada Miranda, STXtv's EVP/Head of Scripted Television. "Our partners at Hulu fully embraced this opportunity and we felt confidence in their plan to realize the massive potential in what is STX's first animated property." 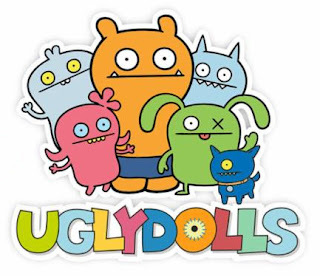 Created as a plush toy line by David Horvath and Sun-Min Kim, the Uglydoll brand quickly gained a cult following around the world and was named Toy of the Year by the Toy Industry Association in 2006. Uglydoll characters are distinct for their endearing "ugliness," in a wonderful "uglyverse" where differences are celebrated and embraced. Hulu is the latest major player to join STX's first animated franchise. Hasbro has boarded the franchise as global master toy licensee, and Walmart has signed on to give Uglydolls its highest level of retail support - a commitment reserved for few premiere properties. Earlier this month, Hulu announced its largest kids & family licensing deal to date with DreamWorks Animation for future slates of DreamWorks Animation feature films, as well as the rights to develop original kids & family series based on the company's popular franchises. Hulu also recently announced a deal with Steven Spielberg's Amblin Television and Warner Bros. Animation to create and premiere a brand-new version of the iconic cartoon franchise, Animaniacs. Uglydolls marks STXtv's third scripted production commitment in the past five months, following National Geographic's six-part limited series Valley of the Boom from showrunner Matthew Carnahan, and YouTube's The Edge of Seventeen, a spin-off of STXfilms' critically-acclaimed film of the same name with the film's original director Kelly Fremon Craig returning as executive producer.